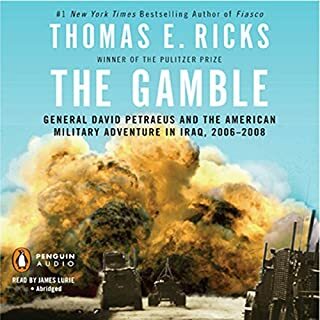 Fiasco, Thomas E. Ricks's #1 New York Times bestseller, transformed the political dialogue on the war in Iraq - The Gamble is the next news-breaking installment. 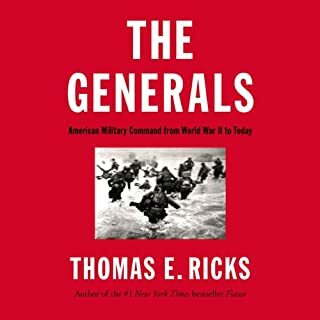 Thomas E. Ricks uses hundreds of hours of exclusive interviews with top officers in Iraq and extraordinary on-the-ground reportage to document the inside story of the Iraq War since late 2005 as only he can, examining the events that took place as the military was forced to reckon with itself. A widening gulf between performance and accountability has caused history to be kinder to the American generals of World War II than to those of later wars. In The Generals we meet leaders from World War II to the present who rose to the occasion - and those who failed. Unimpeachably sourced, Cobra II describes how the American rush to Baghdad provided the opportunity for the virulent insurgency that followed. 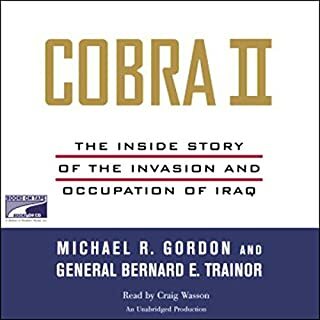 The brutal aftermath in Iraq was not inevitable and was a surprise to the generals on both sides; Cobra II provides the first authoritative account as to why. It is a book of enduring importance and incisive analysis, a comprehensive account of the most reported yet least understood war in American history. Dereliction of Duty is a stunning analysis of how and why the United States became involved in an all-out and disastrous war in Southeast Asia. 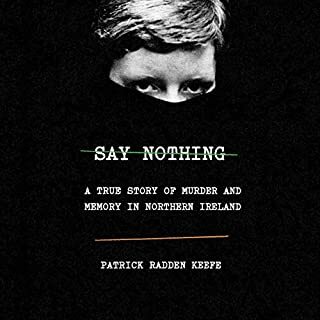 Fully and convincingly researched, based on transcripts and personal accounts of crucial meetings, confrontations, and decisions, it is the only book that fully re-creates what happened and why. McMaster pinpoints the policies and decisions that got the United States into the morass and reveals who made these decisions and the motives behind them, disproving the published theories of other historians and excuses of the participants. Plan of Attack is the definitive account of how and why President George W. Bush, his war council, and allies launched a preemptive attack to topple Saddam Hussein and occupy Iraq. Bob Woodward's latest landmark account of Washington decision making provides an original, authoritative narrative of behind-the-scenes maneuvering, examining the causes and consequences of the most controversial war since Vietnam. The Endgame is Michael R. Gordon and General Bernard E. Trainor's most ambitious and news-breaking book to date. A peerless work of investigative journalism and historical recreation ranging from 2003 to 2012, it gives us the first comprehensive, inside account of arguably the most widely reported yet least understood war in American history - from the occupation of Iraq to the withdrawal of American troops. In this reappraisal of racial politics in modern America, Kevin Kruse explains the causes and consequences of "white flight" in Atlanta and elsewhere. Seeking to understand segregationists on their own terms, White Flight moves past simple stereotypes to explore the meaning of white resistance. In the end, Kruse finds that segregationist resistance, which failed to stop the civil rights movement, nevertheless managed to preserve the world of segregation and even perfect it in subtler and stronger forms. Pulitzer Prize-winning Washington Post senior Pentagon correspondant Thomas E. Ricks' Fiasco is masterful and explosive reckoning with the planning and execution of the American military invasion and occupation of Iraq, based on the unprecedented candor of key participants. The American military is a tightly sealed community, and few outsiders have reason to know that a great many senior officers view the Iraq war with incredulity and dismay. 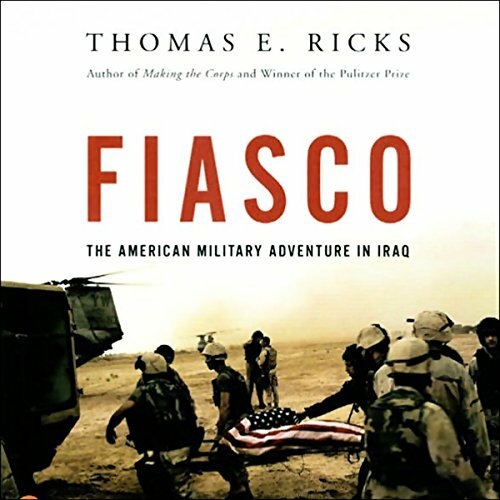 But many officers have shared their anger with renowned military reporter Thomas E. Ricks, and in Fiasco, Ricks combines these astonishing on-the-record military accounts with his own extraordinary on-the-ground reportage to create a spellbinding account of an epic disaster. As many in the military publicly acknowledge here for the first time, the guerrilla insurgency that exploded several months after Saddam's fall was not foreordained. In fact, to a shocking degree, it was created by the folly of the war's architects. But the officers who did raise their voices against the miscalculations, shortsightedness, and general failure of the war effort were generally crushed, their careers often ended. A willful blindness gripped political and military leaders, and dissent was not tolerated. There are a number of heroes in Fiasco; inspiring leaders from the highest levels of the Army and Marine hierarchies to the men and women whose skill and bravery led to battlefield success in towns from Fallujah to Tall Afar, but again and again, strategic incoherence rendered tactical success meaningless. There was never any question that the U.S. military would topple Saddam Hussein, but as Fiasco shows, there was also never any real thought about what would come next. This blindness has ensured the Iraq war a place in history as nothing less than a fiasco. Fair, vivid, and devastating, Fiasco is an audiobook whose tragic verdict feels definitive. ©2006 Thomas E. Ricks (P)2006 Penguin Audio, a member of Penguin Group (USA) Inc.
How not to plan for a war! Usually when I start listening to an audiobook at some point I get tired and pause it. Not this book! I stayed up and listened to the whole first half, and then I listened to the second half while I was working the next day. I liked this book! Ricks explains the inadequacies of the people and the planning that led to the situation we now have in Iraq. It was a perfect storm of wrong thinking and misplaced optimism. There is no exit plan, because the plan is to stay there for a long time in some capacity. Scary, convincing, tightly written and so efficiently packed full of content that not a word is superfluous. Whoever thinks that Bush is simply a bumbling fool needs to listen to this--although Ricks never comes out and says he's dangerous (or does he? ), you know he is after listening/reading this book. I'm surprised that none of the other reviewers so far have mentioned the fine narration: A dry style with a twist of irony, absolutely perfect for this book, the narrator sounded like he was sitting across from me, telling me something he himself had witnessed and quoting the players as if he'd been right there when they said it. In short, important subject, well written and well narrated. I'd give it six stars if I could. Given the number of books designed for conservatives or liberals this book is refreshing in that it is not a bunch of political cheap shots - despite its harsh title. Anyone, who is truly familiar with the current military situation in Iraq and regardless of party affiliation must conclude that things are very bad for our troops. This book explains with the dispassionate tones of a history book (like "1776" which I also downloaded) relies on quotes, e-mails, interviews, newspaper columns/articles to relate the facts & opinions that brought us to this unfortunate point. I noted that President H.W.Bush is not mentioned in an inflammatory manner. Tellingly several people refused to make any comments to the author in defense of their actions. My favorite quote from the book was, "I don't want to be a Guinea pig for Rumsfield's new kind of war!" This book explains how war planners ended up making more enemies than friends by making assumptions, their lack of understanding of Iraqi culture, and having no plan to win and keep the peace. You come to realize that war is not easily won even by pros. I thought officers who could quote verbatim from ancient & modern war books was a figment of fiction writers, but they exist in our forces! There is also common sense. "Sir, what is the battleground?" asked one insightful soldier after the insurgency was in full swing. I won't spoil your listening by giving you the answers both by the officer or by the soldier. Expect many negative reviews by the very conservative due personal political agendas. I support our troops 100%. I only wish that they were not in this mess due to poor judgement, lack of a *complete* plan, and the plain ol' hubris outlined by the author of those who sent our beloved soldiers into harm's way with no plan to lead them back out. We have now rotated a total of about 300,000 troops in & out of Iraq. If we had gone IN with 300,000 the outcome might have been different. What did you love best about Fiasco? This book is very ambitious, trying to show the complexity of the problems facing America in Iraq from the beginning to the end (?) of the conflict and from the lowest private to the President. No book can capture it all, but in the age of unlimited television and press, and the familiarity we all have with our military adventures throughout the world, this book helps to flesh out just how complicated it all is, and how deadly it can be. I am not sure what the author's actual purpose was, but in my mind he bolstered George Washington's advice to the young nation as he was departing when he stated we should stay out of foreign intrigues and wars! His advice could not be more correct for us today. The detail of description was outstanding. As a former soldier and staffer at the 4 star level and witnessing first hand American invasions and the aftermath, I can assure one and all these are very complex operations that would be hopeless failures with out the outstanding people from top to bottom of our military. Unfortunately, we need some military officers willing to fall on their swords to keep incompetent orders from being published and followed on occasion. We need a few Macarthur's out there. Have you listened to any of James Lurie’s other performances before? How does this one compare? Excellent reading of the work. I had not read a good description of the transition of forces and the battle for Fallujah. There were excellent. 1). The Revolutionary War, 2). The War of 1812; 3). The Civil War; 4). The Mexican American War; 5). The Vietnam War; and even WWII! War is hell! It never goes right, and once the dogs of war are unleashed, no one can predict with certainty the outcome. American's need to restrict the use of American forces to only those situations where clearly our National Security is at risk. As the Author has clearly shown, that was not the case in Iraq. Iraq was an experiment at culture change in the Mid East, only time will tell if it was successful. I wanted to learn more about what’s gone on in Iraq than you get from reading the paper or catching something on CNN. I'd looked over a number of books and picked this one - maybe not the most read (? ), but i liked it a lot. This is not a snapshot of the war as the paper or TV can be, but is a movie... and it was just what I needed. I don’t think it’s too far to one side or the other either – to me it was a very good report on what’s gone on, the choices that were made, how they came to be and why we are where we are today. If you want a reminder on how we got into the war in the first few years and really understand the issues at hand, I’d highly recommend this one. Ricks wears his biases on his sleeve, and this is on occasion annoying, but there are facts galore about the conduct of the war, and he hammers them home over and over until you're forced to concede the rightness of his cause. Fiasco: The American Military Adventure in Iraq, written by: Thomas E. Ricks, and narrated by: James Lurie. This is a history of how the Iraq war came into existence, was maintained and why its execution was more buffoonery than achievement of a better world. The essence of the analysis is that men (and women) wanting to feel dominant exercise their basest need for praise by proclaiming themselves prescient and gifted with the enlightenment of superior beings. This false need to profess self-aggrandizement, this need for machismo comes from a want to be great but when ego rather than analysis rules, the results is flawed. This would be a great study in and of itself if Mr. Ricks stopped there. He ventures further and demonstrates how the self-flagellating are the results of weak leaders, those who cannot assess the prevailing facts, match that to the ethnic milieu, geographic circumstance and needs of the peoples and have an objective and strategic plan to bring about given plan. There are just some people put in power that have not learned to assess and think. They act upon blind faith and grand but unexplained statements. Mr. Ricks though not only assesses the ailments of the Iraq War, but provides us with what would have worked. Evaluation of the situation into components, projecting of what is reachable – what can be done and accepted and what may have resulted in change that is to our benefit, and how to move out from the war setting from there. This teaching is a gem of learning. The realizations are valuable; intelligence and virtue are not displayed by bravado and moral turpitude. Mr. Ricks though warned us that just professing intelligence is not enough, one must explain the strategy and the listeners must be able to understand whether the proposed acts are valid undertakings or without substantive reasonableness. In effect, do not follow jingoism. Be rational. I am sorry to say that although this book is more than a decade old; our last Presidential election (2016) was an acceptance of jingoism and a debasement of rational thought. Where are you Socrates when we need you. It seems, Jefferson, Hamilton, Monroe, Adams and Jay, left open one weakness in this otherwise perfect union. Human laziness to assess. 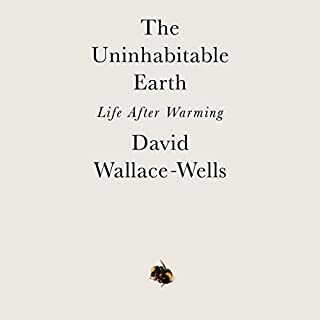 I found this audiobook to be engrossing, so much so that I finished it in a couple of days. The book traces events from the lead-up to war to where we are now -- with the U.S. military unable to quell a raging insurgency and civil war in Iraq. The author, Thomas Ricks is particular about his choice of words, including the word "adventure" in the subtitle, which he uses "in the critical sense of the word". He gives credit where credit is due, almost to a surprising degree, but he also is not afraid to lay blame at the feet of those who were inadequate to the task. He backs up his judgements with historical context, quotes and recollections of military servicemen and women, and with references to military doctrine. I enjoyed the richly detailed accounts of the personalities involved, ranging from the dysfunctional and incompetent to the talented and extremely bright. I would recommend this book to anyone who is familiar with events in Iraq, but would like a framework for understanding how those events brought us to where we are today. 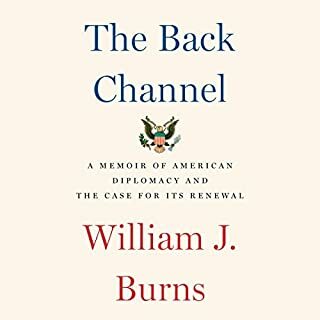 To (grossly) summarize the book -- The U.S. invaded Iraq with no postwar plan and without enough troops to properly occupy the country, and employed an occupation "strategy" which was in contravention of established counterterrorism principles and played right into the hands of Iraqi insurgents. The military eventually changed strategy, but apparently too late to prevent a civil war. The tile of my review is not mine, it is a quote from the author's interview from "The Daily Show". This is a must read book for anyone who is interested in the current state of affairs. I was hoping the author would divulge the motives for the individuals involved in the decision making. The author hinted to the personal motives for the individuals involved, but never clearly stated it. Nevertheless, I enjoyed this book and it is definitely one I would listen to again in few years when the dust settles.